Bay 101 is the scene of the crime in this episode of The Best of WPT Season X. Updated with the final 2 bust out videos. Heading into tonight, only three of the November Nine remain to compete for the World Series of Poker Main Event Championship. Six players have busted. Check out what they had to say when they took the podium following their 2015 Main Event exits as PokerNews was on hand to capture the moments on video. The game of poker draws in players from all walks of life, and history has shown that your background is irrelevant when it comes to holding your nerve and emerging from a game with your bank balance better off. Indeed, the poker table has been a great leveler of men and women over the decades, with web developers, factory workers and lorry drivers taking on wealthy casino owners, sportspeople and movie stars. However, whilst all players are well advised to leave their egos at the door when arriving at a game of poker, there are certainly some professions that seem to gear players up for a profitable time at the casino, instilling players with the mindset required to cope with the potential high pressure situations that high stakes poker can throw up. Among those best equipped to deal with high pressure situations are politicians, and some of the most successful politicians have honed their ability to stay calm in moments of intense pressure by playing poker. 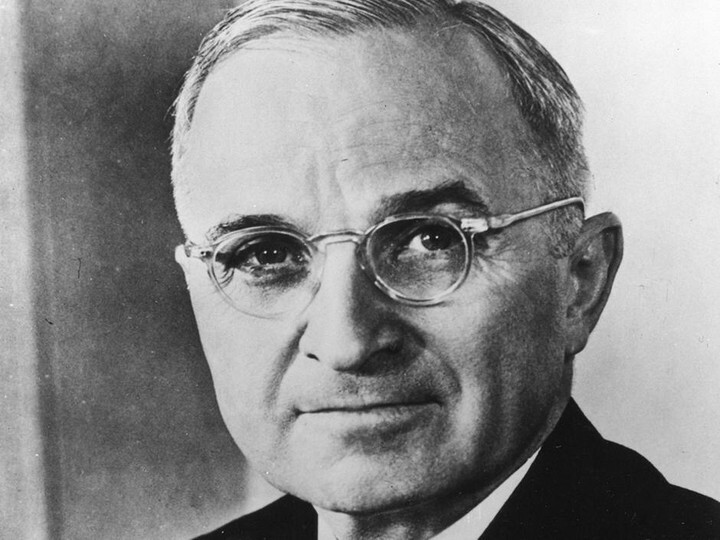 In popular culture of casino, the likes of Thomas Jefferson, Franklin D. Roosevelt and Dwight Eisenhower are all said to have played poker, but perhaps the most famous presidential poker story involves Harry Truman, who was president from 1945 to 1953, and the British wartime prime minister, Winston Churchill. American newscaster, author and journalist, David Brinkley, who worked for NBC and ABC during the course of a career that spanned more than 50 years, gave a fascinating insight into Churchill’s love for poker when describing a train journey that Churchill took on Harry Truman’s private presidential train after the end of the Second World War. According to Brinkley, who picked up no less than 10 Emmy Awards and received the Presidential Medal of Freedom before his death in 2003 at the age of 82, Churchill struggled to get to grips with the way that poker was played in America during the late 1940s. The game of Texas Hold’em was not as popular in Europe at the time as it was in America. Churchill had been invited by Truman, who was president of the United States at the time, to give a speech to the American people. Truman and his assistants and advisers, along with Brinkley, indulged in a game of poker at Churchill’s insistence – a reflection of the British Prime Minister’s love for playing poker – and things were apparently not going well for him. Truman, who is said to have enjoyed a “special friendship” with Churchill from the very first time the two men met each other, recognized that the leader of his own nation’s closest ally was in danger of suffering an embarrassing defeat at the poker table, as his team dealt the English hero a lesson in how to play poker. While Churchill took a bathroom break, he ordered his men to engineer a victory for the Prime Minister that would ensure relations between the two men – and the two nations – remained as healthy as possible! Brinkley described how he and Truman’s appointed circle of men dutifully obeyed their leader’s instructions not to take Churchill’s money. They began deliberately squandering their best hands, whether they were dealt straights, sets or flushes, and, according to Brinkley, they successfully brought about a victory at the poker table for the British Prime Minister. Some poker specialists even went as far as to suggest that Truman should be in the Poker Hall of Fame! White House Counsel Clark Clifford recounted his own version of the same story in his autobiography, adding some fascinating details – and a rather different outcome. According to Clifford, Churchill was playing the poker game while wearing a blue, one-piece, zippered “siren suit,” and said that the Prime Minister had Truman’s men doubled up with laughter with his legendary wit during the game. He described how Churchill was initially coy about his knowledge of poker, but soon showed himself to be a shrewd card player, even though he wasn’t faring well against the Americans. In Clifford’s version of the story, Truman ordered his men not to allow Churchill to win, as he didn’t want the image of Americans as pushovers to cross the mind of one of his most powerful allies. Instead, according to Clifford, Churchill was beaten, but only to the tune of losses that totalled no more than $250 or so. Poker, it seems, lay at the center of the relationship that blossomed between Truman and Churchill, and the pair of them played together whenever the chance arose during visits to each other’s countries. However, while Churchill was not a man to hide his passions, Truman kept his affection for poker largely under wraps. Very few photographs of Truman playing poker exist in the annals of history, for the simple reason that the president wouldn’t allow photographs to be taken while he was playing cards. Perhaps this was as much to do with Truman’s poker strategy as a political strategy, but whether there was photographic evidence or not, his ability on the poker table quickly became the stuff of legend. It has been suggested that the use of the tactics honed on the poker table, such as knowing just what happens in the moments after you bluff, have served numerous American presidents, including the likes of Richard Nixon and Warren Harding. From Truman’s ability to nurture political relations with key allies, to Churchill’s coyness about his own abilities before surprising his opponents, there are plenty of political heavyweights who have bluffed and gambled their way to success as heads of state – whilst cultivating a love for card games in their leisure time. In 1962, America was facing confrontation in what was about as tense a situation as a president is ever likely to face, and the world watched nervously.